Authorities worry that unregistered SIM cards are making their way into the hands of terrorists in Afghanistan. “We have information that Taliban militants deployed in areas bordering Tajikistan are actively using Tajik SIM cards,” Umarov said. The initiative is not unheard of. Earlier this year, Pakistan began registering SIM cards. “If you want to use a mobile phone in Pakistan,” wrote Frud Bezhan in March for RFE/RL, “you will have to leave your name, number, and fingerprints.” In verifying the identity of the owners of SIM cards, Pakistani officials hoped to be able to trace cell-users engaged in terrorism and other crimes. Tajik authorities hope for the same. There are benevolent uses of such tracking methods too. Health officials in Pakistan gave people displaced by fighting in northern Waziristan free SIM cards along with a first dose of polio vaccine. They then used the SIM cards to track and follow up treatment with those individuals. Pakistan, along with Afghanistan, remains one of the last countries not to have eradicated polio. Still, there is an Orwellian element to such initiatives. When paired with other trends in the relationship between society and the state in Tajikistan, concern is warranted. In late November, the Tajik parliament legalized the blocking of internet and telephone services during “counterterrorism operations.” As RFE/RL pointed out, several social-networking and news sites have been blocked intermittently over the past few years. In addition, further restrictions on internet access often coincided with planned opposition rallies or security operations. 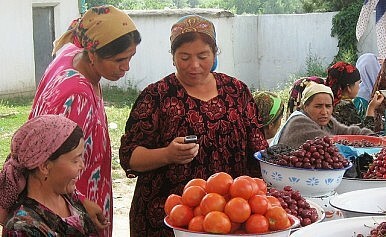 In previous instances of reduced and blocked access, the Tajik authorities always blamed technical failures. The most absurd excuse used was 2012’s stray bullet theory. The state communications service claimed a stray bullet severed phone and internet connections to Tajikistan’s eastern region, Gorno Badakhshan, during a security operation there. The pair of amendments–legalizing blocks and mandating SIM card registration–are direct responses to the short-lived late summer mutiny of General Abduhalim Nazarzoda, who immediately before his dismissal and flight from the capital was a deputy defense minister. The government says he and his supporters were terrorists bent on overthrowing the state while regional observers tend to cast Nazarzoda in the light of a purged elite, his expulsion from government a ploy to smother what little remained of the former opposition. Indeed, his death was swiftly followed by the arrest of nearly all of the Islamic Renaissance Party’s leaders (further reading on that here, here, and here) and the branding of the party as an extremist group. Tajikistan tends to label anyone even in mild opposition to the state as a terrorist, which makes the moves to further control the access of citizens to news and communication more troubling. Big Brother is watching. As Dushanbe consolidates a de facto one-party state, the West remains largely silent.